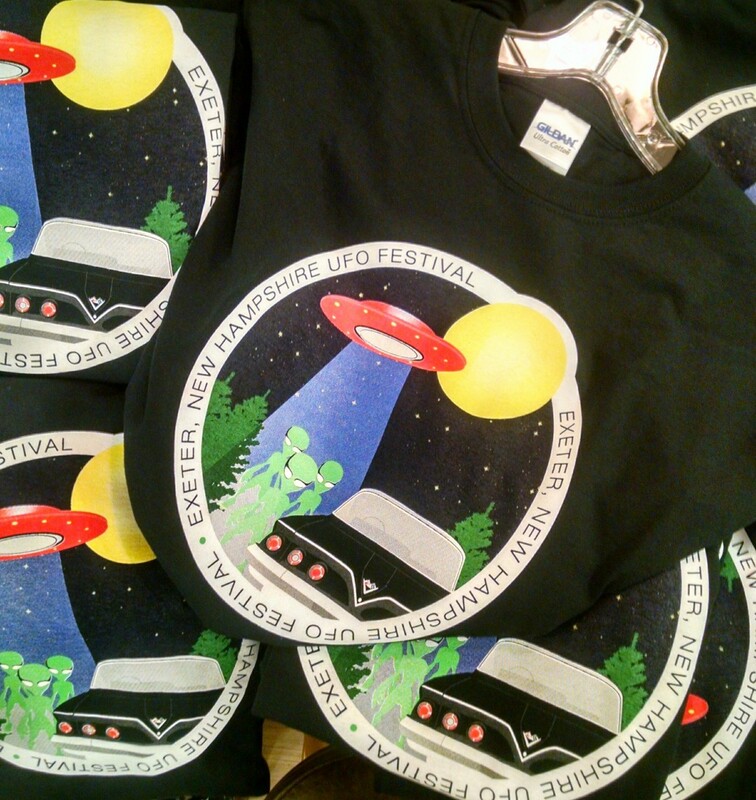 You’ve been patiently waiting for the new t-shirt design. Well here is a photo of some of the t-shirts at Trends Gift Gallery on Water Street in Exeter near the bandstand. 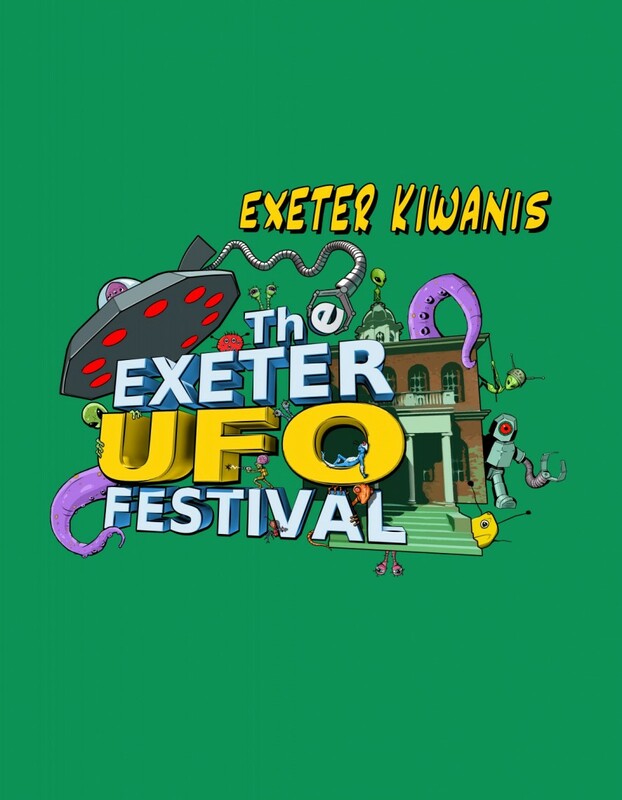 Several designs were created by David Black, owner of ecm design in Exeter and this is the one selected by the Exeter Area Kiwanis Club. I saw the designs as they were being developed and this one was my personal favorite. I just love how David incorporated the vehicle into the design. 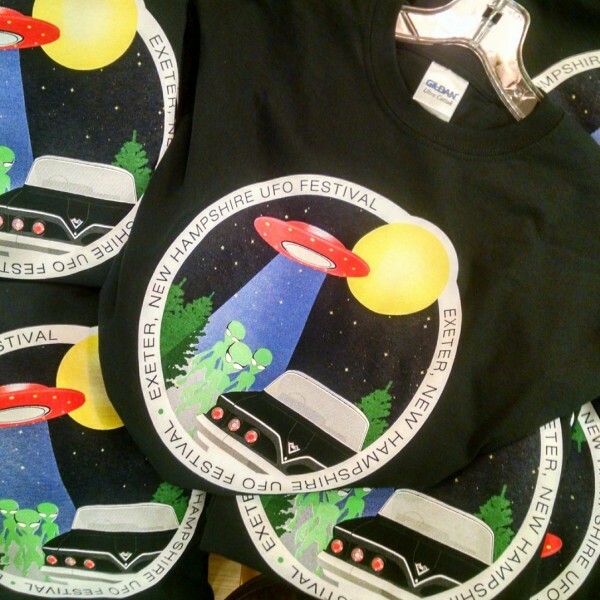 The t-shirts are available now as mentioned and they will certainly be available for purchase during the 2-day Exeter UFO Festival scheduled for Saturday, September 3rd and Sunday, September 4th. Youth and adult sizes are available. We hope you’ve taken the time to look at this year’s speakers. It’s an amazing line-up. 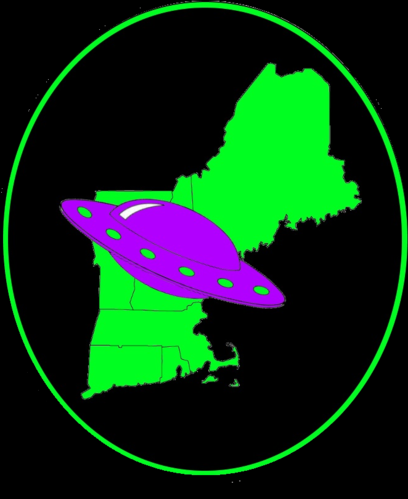 The schedule of events is soon to come. Do not delay, make your reservations now! It is going to be a fantastic weekend. 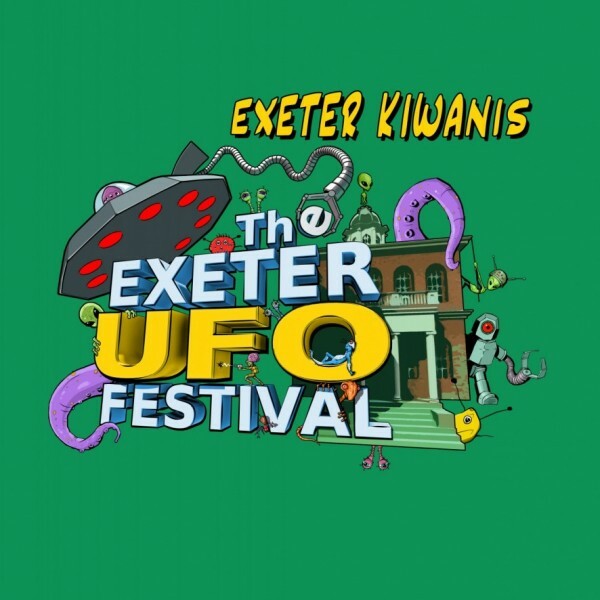 The Exeter Area Kiwanis Club would like to thank the Seacoast Saucers for their generous donation in support of our club and the Exeter UFO Festival.